When I saw the topic of my essay, I instantly understand that working with this question will be very useful and interesting for me, because this topic, during a hard political situation in our country, is very important. That’s why the political scientists have a big impact on the average person, thus they can influence on the opinion about political situation in our country. Also political scientists are a powerful weapon in the information war. People, who works in this sphere, explore all areas of public life, they have a huge impact on public opinion. The easiest way to spread its influence on people is to use propaganda, carrying it through the media. The political scientist is considered an expert in predicting the global and regional policies, and the main function is to increase the level of political education of government and society at all. Such person also organizes elections and use propaganda to make a good image for politics and political parties. Usually propaganda increases during the election campaign. Typically, for a qualitative impact on the audience, political scientists use the information that will be beneficial for the party, for example using emotional posts and links, provoking an emotional reaction to the propaganda. The purpose of the political scientist – propagandist is promotion of political plans and changing the opinion to the object in the target audience. Let me remind the historical facts, like propaganda to conceal the Holodomor, to justify the Holocaust. That ones were negative, but in our time propaganda become neutral and play the role of public recommendations, encourages citizens to participate inelections. Let’s take for example the death of famous politician Vyacheslav Chornovil which was used as a black propaganda against Yushchenko. Some people thought that Yushenko had a hand over Chornovil’s death, because of revenge for Chornovil’s opinion about Yushenko. Chornovil called him: ”insolent, rogue and a scoundrel”. Chornovil was in strong opposition to Yushchenko. Taras Chornovil provided information about Nadia Savchenko. He was telling that Yulia Tymoshenko used her to take place in Verkhovna Rada. There was a thought, that without Nadia Savchenko Yulia Timoshenko would be forgotten. This is an example of gray propaganda. Genghis Khan used his people to disinformate enemy by false information about Mongol-Tatar army’s bad attitude against other side, thus broke the moral spirit of their opponents. It’s called like black propaganda. Nietzsche was in strong opposite to political propaganda. Friedrich Nietzsche expressed his displeasure of class inequality which is ensured by aristocratic political propaganda which, in turn, guided by the lack of political awareness, which played a big role in the national society. For example, some of his works in which he clearly expressed his displeasure: “Beyond good and evil”, “Essay homo,” “So said Zarathustra”. If we look on the current political situation in Ukraine we could see that everyone works with propaganda for their own purposes. Politics are using the current economic situation, which is not in good condition. We still blindly believe politicians because we have no choice. 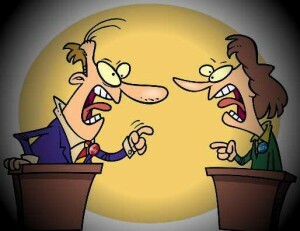 However, in order to avoid political propaganda, we need a campaign to improve the political consciousness in society. This will contribute to a negative reaction from people towards false information by political parties and agitators who will try to control people by using their ignorance. This manipulative practice has been used since ancient times. Learning terminology, rights and responsibilities of citizens will drastically change the political situation in the country and help people to analyze objectively and make decisions. For politicians, this campaign will be disadvantageous because ignorant society is easier to control than educated, because educated people understand their rights and responsibilities. People will know the aim of political parties. Thinking about positive or negative in propaganda you may not reach the final conclusion. For example not all types of political propaganda are permissible like: black propaganda – disguise the true source, especially if it uses an organization with a dubious reputation; gray propaganda (without the author and the source) – mislead the enemy and dialectal maneuvers led to believe in lie; destructive propaganda – inciting social discord. So, using this information and my opinion we can conclude that the political scientist – propagandist can show the positive nature of any propaganda, it all depends on how he convey the information to the target audience.